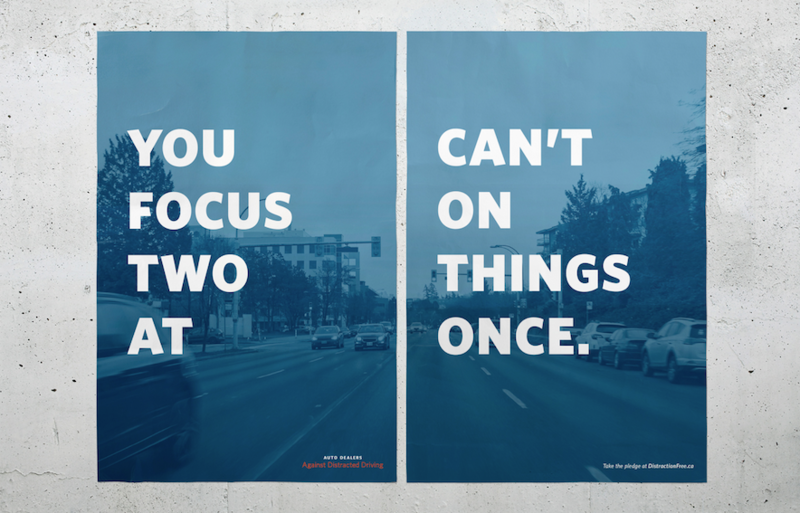 These posters prove that you can’t focus on two things at once. 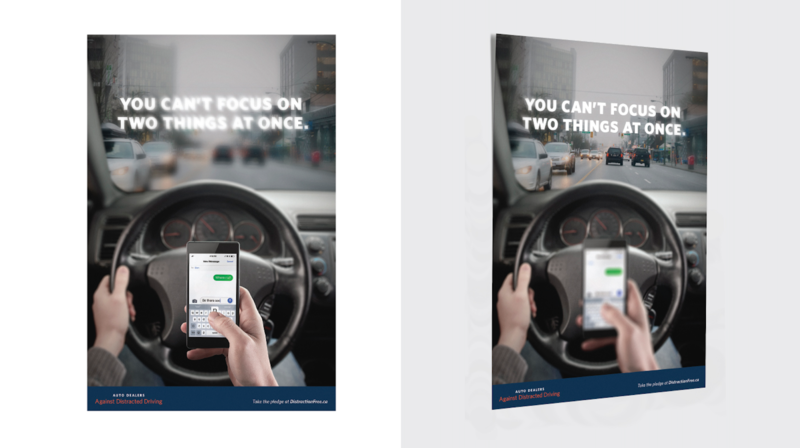 As part of an annual campaign in which auto dealers across the country highlight the negative impact of distracted driving, Rethink created a series of in-store posters. Instead of taking a fear-based approach, the posters illustrate a simple insight that everyone can relate to: it’s simply impossible to focus on two things at once. Different posters made this point in different ways. A single poster utilized photographic depth-of-field, leaving the headline and background out of focus. A double execution placed two posters side-by-side with the headline words alternating between them, forcing the reader to shift their focus repeatedly. Special lenticular posters were also developed, creating a shifting “rack focus” effect that brings the insight to life as the viewer passes by.